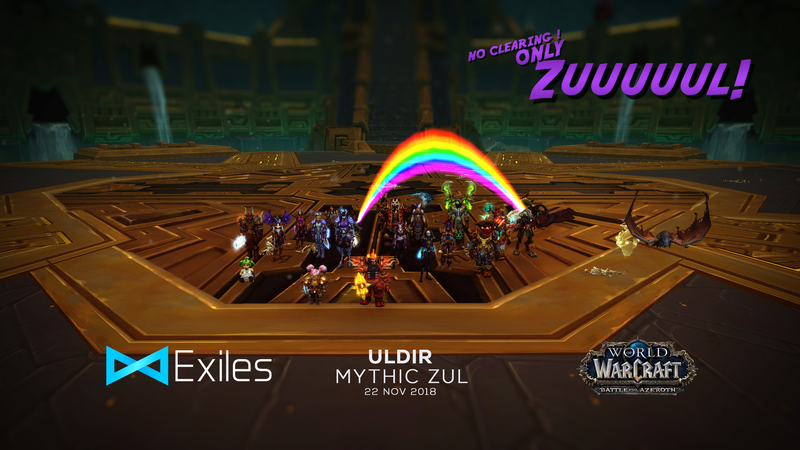 Mythic Zul went down on 22nd November 2018! Apologies for the delay in posting the screenshot. At least we remembered to screenshot, before someone hit the lever and killed everyone in the Mythrax room. Some would argue that with 5 rogues (3 freshly levelled!) it was inevitable that it would die fast, but without the careful cooperation of ad-kiters, people resisting the urge to go ham on the crawgs,super smart tanking, and insanely good dispels from a freshly levelled priest – it was 100% a team effort. Well done all!